The Heartwood College of Art will move into a renovated textile mill in Biddeford, marking a “relaunch” for the school 20 years after it was founded, say college officials. For the past 10 years, Heartwood has been based on York Street in Kennebunk, south of the village and away from other artists. College officials say they will save money by moving to a smaller space and want to be part of the burgeoning urban arts community in downtown Biddeford. The college, founded by Berri Kramer, offers a Master of Fine Arts program and a variety of community classes. Kramer said she sees the move as a relaunch for the school, which will continue to expand its master’s program this fall by raising enrollment to 20 students. The college will lease 3,000 square feet in Building 17 of the Pepperell Mill Campus, a significant decrease from its 11,000-square-foot building in Kennebunk. Kramer said the large space in Kennebunk wasn’t cost-effective or practical, especially because master’s students are on campus only twice each semester. The college has had decreases in revenue over the past few years, according to federal tax filings. Revenue decreased from more than $371,000 in 2007 to just over $183,000 in 2010, according to tax records. Heartwood reported total expenses of about $205,000 for 2010. The college will begin moving June 1 and will offer only jewelry-making classes this summer. All classes will resume in September. Doug Sanford, owner of the Pepperell Mill Campus, has long said that he wants to include a college in the former mill. Will Kany, leasing director for the campus, said Heartwood College will join more than 80 commercial and retail tenants and 80 residential units. Building 17 is home to small art studios, a violin maker and an auction house, among other businesses. Tammy Ackerman, executive director of the Biddeford-based community arts organization Engine and coordinator of the monthly ArtWalk, said Heartwood’s move to Biddeford is “great news” for the city’s growing arts scene. 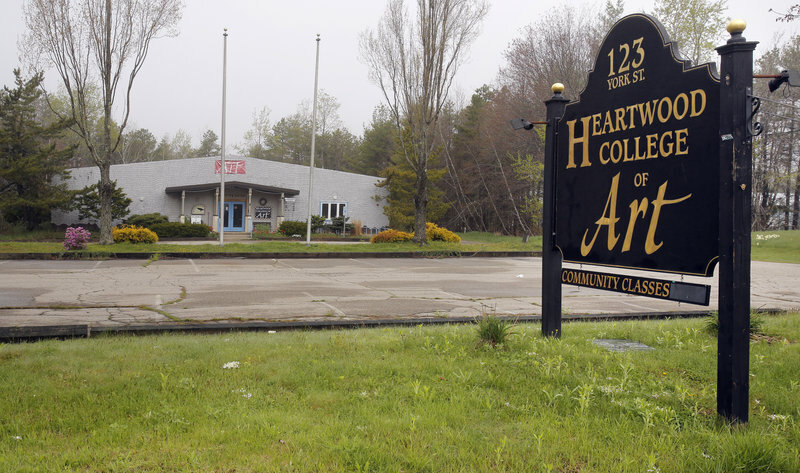 Having an education component in Biddeford’s arts community is “absolutely fantastic,” said Ackerman, who already has contacted Heartwood to talk about opportunities for the college and Engine to collaborate. Kymara Lonergan opened The Kymara Gallery in Building 17 five years ago. The college will use space across the hall from her gallery. Lonergran said the arts scene in Biddeford has picked up momentum in the past year and a half, and the college’s arrival will complement that growth. Susan Wilder, dean of students for Heartwood, said everyone involved with the college seems to find the move exciting — especially once they see the views of the Saco River and waterfalls from the studio windows. College officials knew within 10 minutes of walking into the mill that they wanted to move there, she said. “There’s some energy going on there that we want to be a part of,” she said. Kramer, Heartwood’s founder, said holding classes in a historic textile mill will inspire students and give them opportunities to connect with other artists through the ArtWalk, which recently expanded across the river into Saco. “It’s very exciting for us to involve ourselves with what’s going on (in Biddeford),” she said.